2016 KTM 1290 Super Adventure. Picture credits - KTM. Submit more pictures. Different modes for the various assistance systems can be selected using a mode switch on the left side of the handlebar. It�s very simple and intuitive: �up� and �down� through the menu selection, select the desired menu item with the left button, confirm it with the right, job done! Comments: Small windscreen. Ride-by-wire system. Switchable Bosch ABS. Ask questions Join the 16 KTM 1290 Super Adventure discussion group or the general KTM discussion group. Bikez has reestablished Bikez.info motorcycle web shop overview. Here we present the major online shopping possibilities for motorcycle parts, gear and accessories. This includes customizing and insurance. Search and compare products and prices. 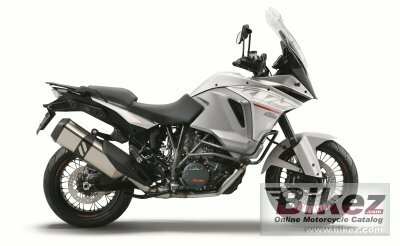 Try our 2016 KTM 1290 Super Adventure discussion forum if you have questions or comments. Information about any technical issue is always welcome.